Amy’s teaching and research interests include the sociology of gender, work, food, and families. 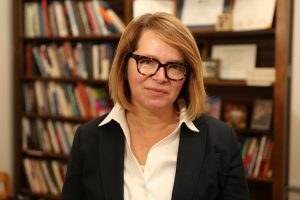 She has served as a consultant on workplace sexual harassment cases, and her research on this topic has been cited in the New York Times, USA Today, BuzzFeed, TIME, NBC News, and other outlets. Her book Childfree by Choice (Dutton, 2019) explores the history and growing movement of adults choosing to forgo parenthood. Dr. Blackstone has shared her research on the childfree choice in The Atlantic, Washington Post, Huffington Post, on the Katie show, and other venues. She is passionate about food and has taught the Sociology of Food at UMaine and in Italy.